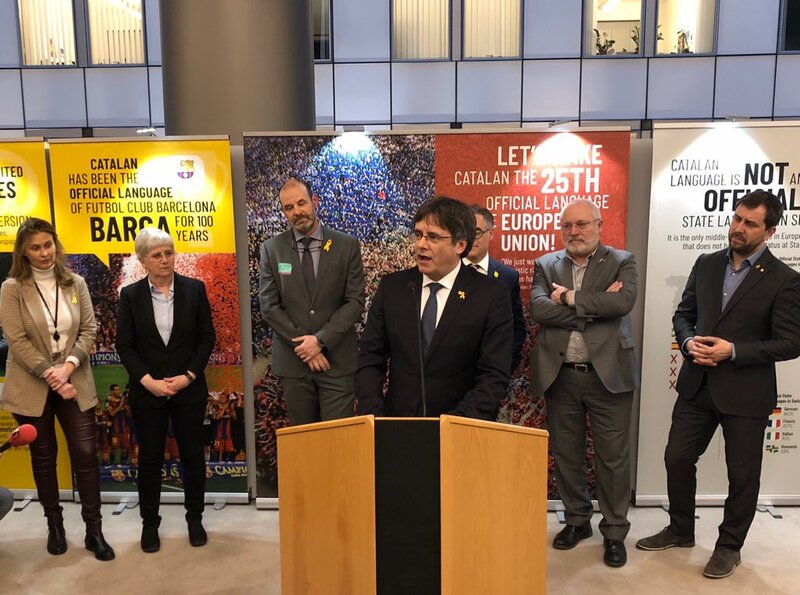 ELEN member organization Plataforma per la Llengua launched the exhibition “The Catalan language: 10 million voices” in the European Parliament in Brussels on Monday 4th March with an address by former Catalan President Carles Puigdemont. The event was hosted with Ramon Tremosa MEP and his team. 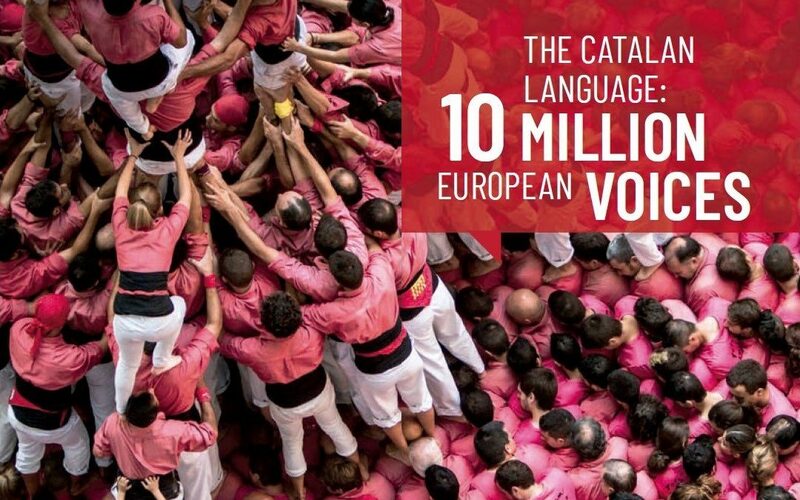 Controversially, the exhibition had been banned by the European Parliament, however, after negotiations with Plataforma and Mr. Tremosa , the exhibition was eventually authorized. 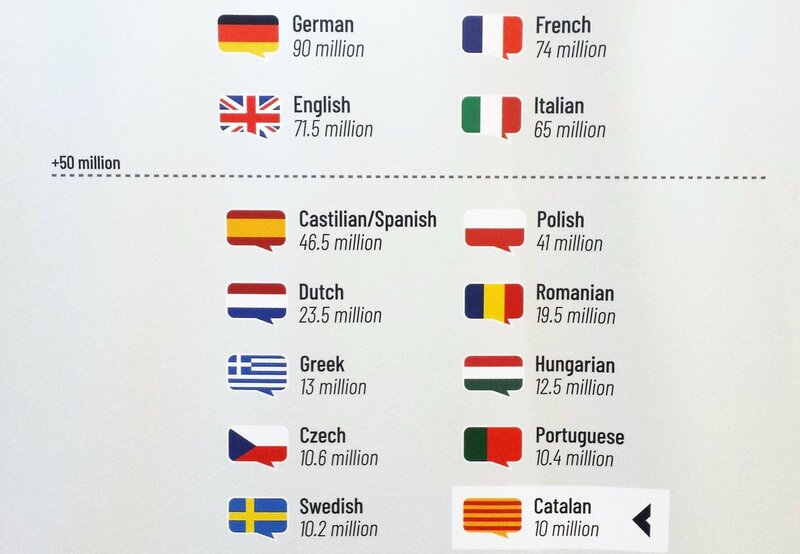 Key themes of the the exhibition were to ask why Catalan still is not an EU official language and to underline facts such as: Catalan having 10 million speakers making it the 14th most spoken EU language; the Catalan education system ensures that children learn both Catalan and Spanish; in North Catalonia (France) 76% of families want education in Catalan but only 25% receive it; and that Catalan has been the language of FC Barcelona for 100 years. Exiled Ministers Meritxell Serret, Toni Comín, Mr. Lluís Puig and Clara Ponsatí also attended the packed event together with MEPs from various parliamentary groups and ELEN Secretary-General Davyth Hicks.